Are you looking for a place where you can make a difference in the life of a child, assist in strengthening families, and improve life in your community? 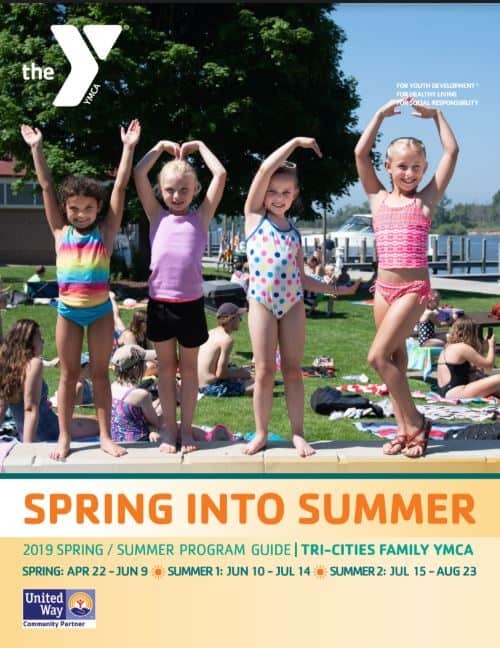 Then look no further, the Tri-Cities Family YMCA has something for everyone! We offer full-time, part-time and seasonal employment opportunities in a wide variety of areas such as: Administrative/Member Services, Child Care/Education, Day Camp, Health & Fitness, Youth Sports and Aquatics. This position supports the work of the Y, a leading nonprofit committed to strengthening community through youth development, healthy living and social responsibility. The Membership and Marketing Director fosters a cause-centered culture that is welcoming, genuine, hopeful, nurturing and determined. Establish sales, acquisition, and engagement strategies and tactics. Lead membership staff effectively - recruit, hire, train, evaluate and supervise diverse staff teams. Manage membership and marketing including development of a budget to meet fiscal objectives. Establish contacts with media representatives and build relationships with key stakeholders. Qualifications include: Bachelor's degree in related field preferred or the equivalent combination of education and experience; excellent computer skills; and, ability to communication effectively to diverse groups of people. Please submit an application, resume, and letter of interest to Greg Coil: greg.coil@tcfymca.org. This position develops, organizes and implements high quality, member-focused, YMCA aquatic programs. Lead aquatics staff effectively – recruit, hire, train, evaluate and supervise diverse staff and volunteer teams. Conduct and ensure proper maintenance of pools and related areas. Conducts lifeguarding, swim instruction, First Aid and CPR instruction. Qualifications include: One to two years experience in aquatic leadership preferred. Good interpersonal, public relations, communications and leadership skills. The Tri-Cities Family YMCA is looking for a Building Supervisor to oversee all aspects of Tri-Cities Family YMCA operations, with a special focus on building safety, security, maintenance and custodial functions during open building hours. Risk Management: patrol the grounds to prevent fires, theft, vandalism and other disruptive behavior. Building Maintenance: coordinates and assists in light maintenance tasks. Public Relations: Maintains a friendly and visible presence in the building. If this sounds like the job for you, please check out our job description – Building Supervisor And submit an application with resume to Dave Osborn dave.osborn@tcfymca.org. Remember the fun of summer when you were a kid? Exploring the outdoors, spending time with friends, playing games and splashing in the pool? We’re looking for dedicated and enthusiastic applicants to create the ultimate camp experience by fostering positive, nurturing, relationships with youth ages 4-13 years in our Summer Day Camp Program. Interested applicants must be 18 years or older, available for the duration of summer programming, promote and support the potential of all youth, and have a passion for working with young people. Please submit your application, resume with cover letter and three references to Meredith Long at meredith.long@tcfymca.org. We are currently looking to hire part-time Y lifeguards or Red Cross certified lifeguards. Must show proof of certification prior to hire. Swim instructors must be CPR/First Aid certified and show proof prior to hire. Looking for instructors who have swim experience and enjoy working with children. There are morning, afternoon, and evening shift options (4:45am-9:30am, 1:00-5:00pm, and 5:00-9:00pm). Qualified applicants should possess a high school degree and must be 18 years or older. Additional qualifications are listed in the Job Description provided below. Applicants should have the ability to oversee the implementation of classroom activities and have a commitment to developing the full potential of the children served. Interested applicants, please submit employment application, resume, and three professional written references to our Licensed Child Care Director, Ashley Van Lopik, at licensed.childcare@tcfymca.org. For full job descriptions, please click here: Licensed Child Care - Associate Teacher. Childcare Services is seeking dedicated and qualified candidates for positions within our growing childcare program. Qualified applicants should have current CPR, First Aid and Bloodborne Pathogen certifications. Applicants should also have the ability to provide a quality experience to children and parents that focuses on the YMCA values of honesty, respect, responsibility, and caring. Successful candidates will responsibly supervise, nurture, and care for children from ages 3 months to 10 years old. They will welcome children each day, perform crafts and activities, and maintain a healthy and safe setting where all children can thrive. Interested applicants should submit employment application, resume, and three professional written references to Child Care Services Coordinator, Elizabeth Dahlstrom, at elizabeth.dahlstrom@tcfymca.org. For full job descriptions, please click here. The Tri-Cities Family YMCA is hiring in our growing gymnastics department. A passion for kids is a must! We are looking for individuals with past/current Gymnastics, Tumbling, Cheerleading or dance experience. Positions available Monday -Thursday, 4:15 pm – 7:30 pm. Must be available a minimum of two shifts per week. We are looking for coaches for our Fun and Competitive Gymnastics Teams. Must have previous Gymnastics experience. Positions available Mon-Thur 4:15 pm – 7:30pm. Must be available two shifts per week. The Tri-Cities Family YMCA is seeking a CrossFit coach with CrossFit L1 certification or higher. The ideal candidate will be high energy, motivating, and committed to leading safe but challenging group classes. Our coaches must be able to manage class flow, coach members of all abilities and fitness levels, and create a positive, upbeat environment for all. Must be available for a variety of class times, especially early morning and evening. If this sounds like the job for you, please submit an application with resume to Fitness and Wellness Director, Erica Phelps, RD, at erica.phelps@tcfymca.org. You can find a full job description here. We’re looking for individuals who have a passion for sports and kids. Positions available: 9:00 AM – noon or 4:15 PM – 7:30 PM. Must be available to work at least two shifts per week. Looking to hire in our preschool gymnastics and Parent/Tot program. A passion for kids a must! Gymnastics experience not required will train the right person! We’re looking for energetic individuals who love having fun with kids. Our Special Events staff coordinate and supervise our Nerf Nights, Friday Night Flip Outs, birthday parties, open gyms and more. Please click here for a full job description. Positions available Friday nights and Saturday/Sunday during the day. We’re looking for energetic individuals who have a passion for sports and kids. Our Ninja classes incorporate gymnastics, climbing and other forms of fitness in developmentally appropriate ways using a variety of mats, obstacles and structures. Please click here for a full job description. Positions available all times and days of the week..
We are looking for outgoing, friendly, reliable, individuals to join our Welcome Center team! Must relate well to people, be very outgoing and energetic. Responsibilities include greeting members, registering individuals for classes, giving tours, signing up new members and other duties as assigned. Part-time hours - flexible scheduling available. Please submit a resume and applications to David.Burdo@tcfymca.org. The Tri-Cities Family YMCA is looking for energetic applicants to lead healthy after school activities for middle/high school students. Must be willing to enthusiastically lead active games and assist with nutrition education/cooking lessons. Applicants must be able to foster positive relationships with youth ages 11-17. Must be available 2:45 – 5:30pm several weekdays during the school year.